As more and more enterprises face significant growth and profitability challenges, executives are turning to formulate appropriate customer centric strategies and focus on managing customer relationships to support such initiatives. Combining information technology with relationship marketing, customer relationship management (CRM) systems provide the infrastructure that facilitates long-term relationship building with customers. However, not all firms have been successful in their CRM implementations. Many embody a complex implementation process, especially in developing countries like China. 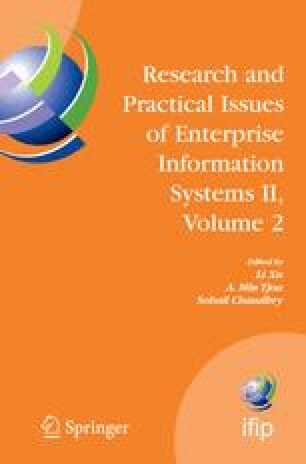 This paper examines the implementation of CRM at Legend group, a leading PC vendor in China, and summarizes the factors that lead to the success of CRM projects in China context based on the framework proposed in the paper. The results from the case study also suggest that people, technology, and business processes are all key enablers in CRM implementation. J. Hahnke, The Critical phase of the CRM lifecycle: without CRM analytics, your customer won’t even know you’re there (2001). http://www.hyperion.com/crm/16536.pdf (Accessed Mar. 6, 2002). Anonymous, Legend (Lenovo) Annual/Interim report 2000–2005, Lenovo. http://www.pc.ibm.com/ww/lenovo/investor_relations.html (Accessed May 6, 2007).